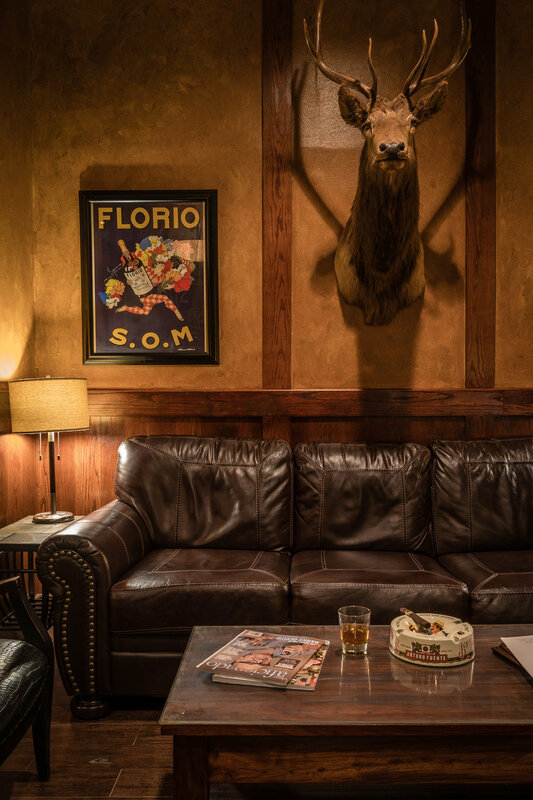 Enjoy a cigar in a relaxed atmosphere selected the best place to have a cigar and a steak in Dallas. Join the club and get 50% off cigars and much more..
Our Cigar Lounge is a richly decorated room with a private entrance where a person can enjoy a cigar, a cocktail and an excellent steak. Relax on one of the leather couches while our staff cuts and lights your cigar or reserve a table and enjoy a full dinner experience. Our lounge features live music Tuesday thru Saturday starting 7pm.